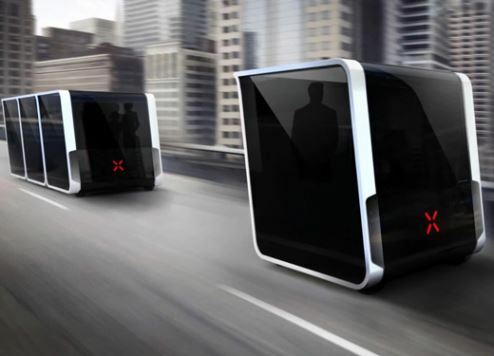 Dubai's Roads and Transport Authority (RTA) has given the green light to a plan to make 25 percent of all transport journeys autonomous in the emirate by 2030. RTA director general Mattar Al Tayer has approved the strategy and is now looking to introduce legislation and rules for autonomous (self-driving) transport to ensure this ambition is realised, according to state news agency WAM. The entity will also develop a facility for the testing and licensing of self-driving vehicles. Additional plans include devising a structure for insurance and liability and addressing infrastructure requirements, Al Tayer revealed. High-definition e-maps will also be developed to help the vehicles safely navigate the city. “Dubai’s strategy is inclusive of all mass transit modes such as trains, buses, marine transit and taxis, as well as private vehicles, while many countries focus on a limited number of transit modes,” Al Tayer said. The RTA's recently-opened Enterprise Command and Control Centre will play a pivotal role in providing real-time and accurate information, in addition to research and development. “This strategy is part of Dubai Government’s ongoing efforts to improve services and introduce the latest in technology and innovation worldwide in the field of self-driving transport for the sake of adding happiness to people,” Al Tayer added.